Highest quality, 3M based product used by many top ATV racing professionals and Immortal ATV. 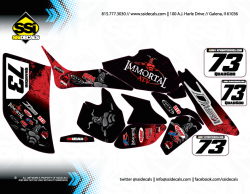 And decide if you want a semi custom or custom graphics kit. Then add as much info as you can into our ordering page. Take screenshots of your SSI page options and email them to Sales@immortalatv.com after you place your order with us, don't worry, you will get an editable proof before your graphics are printed. Add Immortal ATV as your main sponsor and save $20! Ask about special Immortal ATV inspired graphic kits. 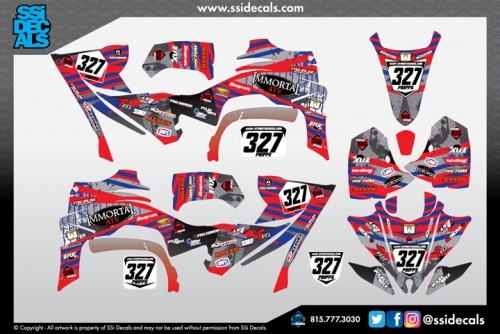 SSI makes the best kits, period! Really thick, detailed kits and used by top racers!